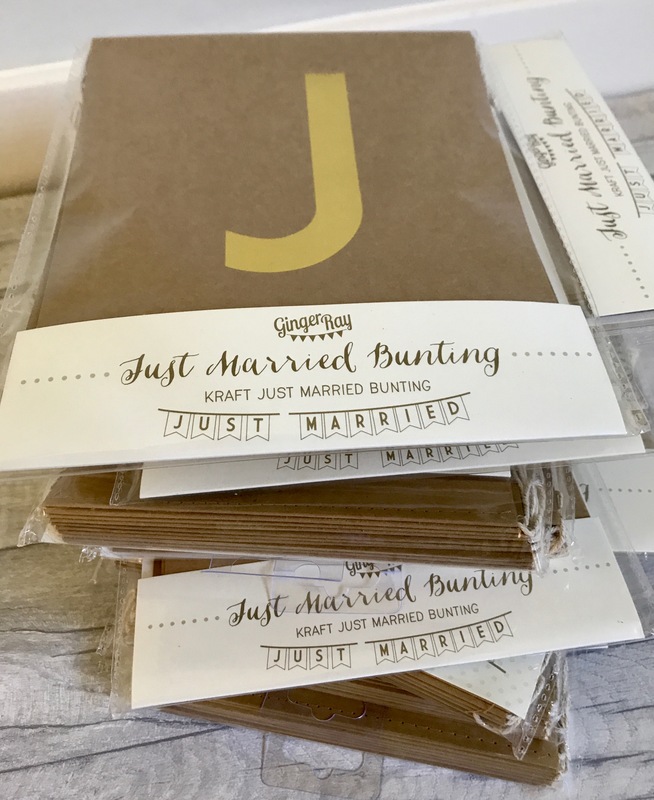 This kraft and beautifully gold foiled 'Just Married' bunting is perfect for your wedding day. 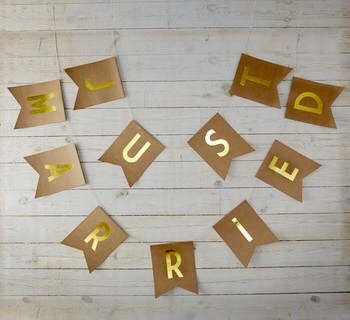 Can be hung behind the happy couple on the top table, or even at the bar to create the perfect backdrop. 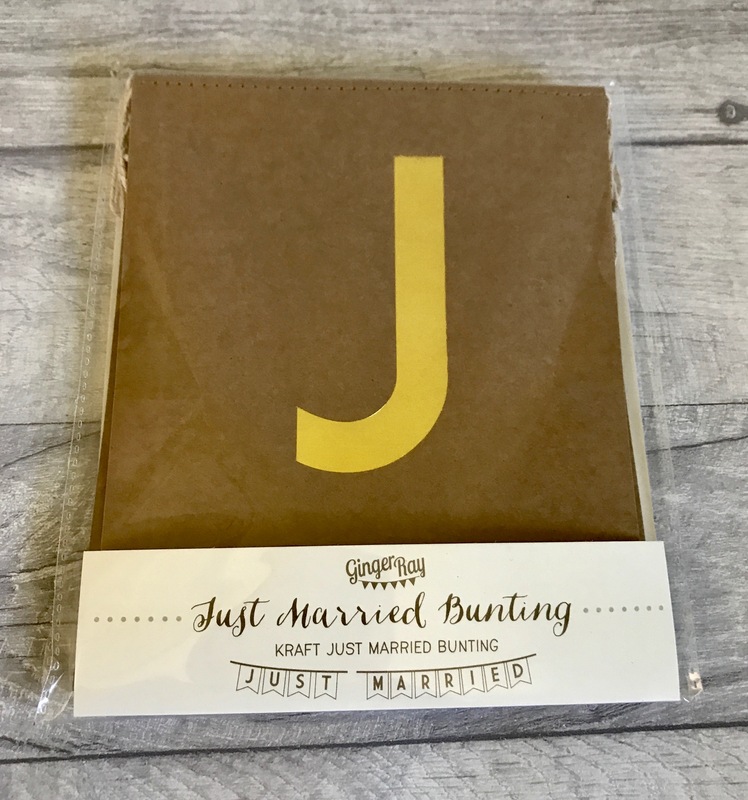 Bunting measures 3M L.